Just to warn you guys, I'm no where near as good as JK and this is really just for my own enjoyment. Hopefully you guys like it! "OK. On the count of three, you two can go thought first. One...two....three!" Lily Potter. Eleven years old. Going to Hogwarts for the first time just ran through the barrior with her older brother, James. They walked on as they saw their mother and other brother, Albus, come through, closely followed by their father. The Potters. It was a family everyone in the wizarding world knew. But Lily didn't know that. Neither did James or Albus. "I'm going to get my stuff on the train." James said. "Go with Mum and Albus." He let go of her hand and ran to the train shouting "Hey Lewis! Wait for me!" Lily stood on platform nine and three-quarters, looking around. Of course she had been here before but this time when you were going to the school it was different. She didn't have to hold onto her mothers arm. She was finaly going. It was getting busy, Lily noticed. Different faces, different eyes all looking around, pausing as they saw her face then carried on. Sometimes even came back for a better look. "Lily! Mum says you need to get your stuff on!" Albus said, running over to her. Albus, her older brother was a very sweet boy. He always looked after her. "I can't wait! It's going to be wonderful!" Lily said, joy clearly in her voice. She walked with Albus at her side until they found their parents. Four people stood with them. "Hugo!" Lily shouted. She ran over to her cousin. His face beamed and he hugged her. "Finally we get to go!" He whispered to her. They had always been close as they were the same age. Rose stood next to her mother. Hermione and Ron were talking to Harry and Ginny. Albus was looking around the station. "What house will you be in?" Hugo asked her. "I don't know." She answered. "I got a brother and both parents in Gryffindor while the other borther, and the one I'm closest to in Slytherin!" "I've already got my fate writen in black and white." Hugo said. "All Weasley's are in Gryffindor!" Lily pushed her red hair behind her ear. It was a bit wavy now, kind of like her aunts, just neater. Harry smiled at his daughter and took her hand. "14, 13 and 11. They grow up way to fast." He commented which made all the kids smile. "I know!" Ron answered. "I mean they were so cute when they were kids. Now they are as cheeky as Peeves!" This earned him more smiles from the kids but an evil glare from his wife. "What?" "Don't tease them!" Hermione glared. "That's really what they need, their fathers support on the day they leave for Hogwarts." She said sarcastically. Harry started to laugh. It was funny to him to see his two best friends fight to this day. All thoughs times he saw them stop talking to each other and now they're married. "Look at the time!" Ginny said. "OK, kids. Time to go. Albus tell your brother we hope he has a nice time at Hogwarts." She kissed him on the forehead and gave him a big hug. "And look after your sister." "I will." Albus smiled at Lily then jumped on the train. He waved once then ran down the carrages to find a place to sit. "You'll be alright, won't you?" Ginny asked Lily. Lily nodded and hugged her parents. "I'll miss you! I'll write to you and I'll tell you everything!" She answered, smiling. "We'll see you all at Christmas." Said Ron. He was hugging Hugo while he said this. Rose had seemed to have dissappeared. "Right. Time to go." Hermione urged. Hugo jumped on first as some of the doors started to close on the gleaming Hogwarts Express. Lily jumped on after him and looked out a window at her dad. She saw more people staring. "Dad! Seriously! Why do people keep looking at us? It's like we're some kind of freak show!" Lily complained. "It's nothing! I was very popular at school. Gryffindor Seeker!" He said. The train started to move. People started to wave like mad. Lily one of them. She kept waving until she rounded a corner and went out of sight. "You have to tell them soon, mate." Ron said. "I can't even tell my kids what I did when I was at school. And Teddy doesn't even know how or why his parents died." "I will. I promise." Harry said. "Tell them when they come home for Christmas." Ginny said. "Alright." Harry said. He didn't want to tell them the horrors that happened when he was a kid. He had to tell the truth though. Even if he didn't want to. I LOVE IT!!!!!!!!!!!!!!!!! Your a great writer! This is great!!! I'm glad Albus is in Slytherin!!! In my AP lit. class last year, we all got sorted into the houses (we took an online test) and I'm a Slytherin!!! Oh, and I'm glad you mentioned Teddy!!! He's like one of my favourite characters!!! I'm off to read more!!! good! teddy is going to be a big character in this so don't you worry. I really enjoyed it and I'm glad you put Albus in Slytherin. Severus Snape was one of my favorite characters and I almost cried when he die. This is great keep it going. I myself am writing a fan fiction about this period in their life except its about totally different people but it includes their clinger. Again great work, keep it going! i will! there's lots to come. of course mine arn't as cool as JK's but it's fun! wow thats a good story! I can tell you like Harry Potter, so do I but not a WHOLE lot! But still thats SUPER awesome! keep it up! yes. i really do love Harry Potter. Thank you so much!! and i will check your story out as soon as possible! thank you! 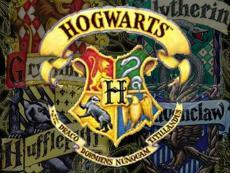 i love harry potter! best series ever! Good story so far!! Kmu!!! Thank you so much for reading and fanning me :)!!! Wow this is really good so far. I was kinda expecting him to be in Grifindor but it was a huge suprise!! Cant wait to read more! And I just kinda wanted to make him a little bit different from the others. Thanks o reading and glad you liked it! I love harry potter and I have my own version of when Lily goes to Hogwarts. this is fairly good, I hope that you add second through seven years. This page was created in 0.4388 seconds.